The World Bank is like a cooperative, made up of 189 member countries. These member countries, or shareholders, are represented by a Board of Governors, who are the ultimate policymakers at the World Bank. Generally, the governors are member countries’ ministers of finance or ministers of development. They meet once a year at the Annual Meetings of the Boards of Governors of the World Bank Group and the International Monetary Fund. Why did we choose this document? This book reflects an important addition to the literature of economic development. Much of the past literature only measures a country’ Gross Domestic Product (GDP), but this project studies a country’s wealth by measuring a country’s produced, human, and natural capital. GDP alone does not provide an accurate picture of a country’s development as it measures income and not the sustained wealth in its assets, particularly in relation to the country’s population growth. Many people may remember the concern in the 1980s that countries were rapidly depleting their natural resources in an unsustainable manner and thus favoring short-term gains in GDP over long-term management of their resources. Thus, tracking natural capital over time is a significant measure of a country’s economic health. However, it is not only the net amount of natural wealth, but its proportion with the produced and human capital to create an overall picture of development. For example, low-income countries have the highest proportions of natural capital, whereas that percentage decreases in high income countries even though many high-income countries have high levels of natural capital such as those in the Middle East with significant oil reserves. Wealth growth comes from the investments made from using natural resources to strengthen production and human capital. In this update to the 2006 version of this report, the World Bank has been able to measure human capital for the first time with a new database of household surveys. Human capital is measured as the value of earnings over a person’s lifetime, and it is increased through government investments in social programs such as education and infrastructure. Human capital is what drives wealth development. This recognition is significant as it compels countries to invest in their citizens, which runs contrary to years of the international community’s insistence on cutting social investments such as education. By not looking solely at GDP, this study articulates a more comprehensive understanding of development which should guide countries to manage their natural and human capital for maximum wealth and sustained growth, rather than short-term economic restructuring to boost GDP. The study includes data from 141 countries over 20 years (1995-2014). It finds that human capital wealth per capita is generally increasing in low- and middle-income countries although rates fell in a few countries due to population growth outpacing increases in human capital wealth. Additionally, total wealth in some low-income countries actually fell, specifically in Tanzania, Madagascar, and the Democratic Republic of Congo. Globally, wealth increased 66% from 1995 to 2014 and the value of natural capital doubled, mostly in nonrenewable resources due to changes in volume and prices. West Africa has a great deal to learn from this report. Sub-Saharan Africa contains 21 of the 24 countries that remain classified as low-income throughout the 20 years of the study, and Nigeria and Ivory Coast are among the group of countries whose per capita wealth actually declined from 1995-2014 even while their actual wealth increased. This shows that the investment in human capital did not keep up with population growth. In determining economic priorities, the results of this report emphasize the significance of proper management of natural resources. The rents from these resources must be invested into the long-term human capital of the country’s citizens instead of prioritizing produced capital or short-term GDP growth. The details in this study also draw out important conclusions regarding issues of gender inequality, conflict and stability, and inequality which are all play significant roles in West African economies. Globally, women hold less than 40% of human capital wealth due to lower earnings, lower labor force participation, and fewer average hours of work. Achieving gender parity would increase human capital by 18%. In West Africa, where women have lower education rates than men, the disparity in human capital is no doubt higher. Combined with the lessons regarding population growth, these findings magnify the importance of education for women and girls as well as access to family planning in West Africa. High population growth rates only increase the challenge of providing the necessary investments to growth human capital and thereby, the country’s wealth. Likewise, the findings show how conflict and instability affect wealth and economic development. Unsurprisingly, 13 of the 24 low-income countries are fragile or conflict-states, and a majority of these countries are rich in natural resources. These countries have the natural capital to increase their development, but the political instability is preventing the state from appropriately using the rents collected from those assets to invest in their human resources. Or rather, resources alone do not provide wealth, but good governance and institutions are necessary to carefully manage the use and investments of the country’s capital. One topic not fully discussed in this report is inequality. On a global scale, inequality is present in the data that low-income countries hold only 1% of the global wealth despite holding 8% of the world’s population. That figure barely changed over the 20 years of the study. However, within the populations, the data regarding human capital per capita is less clear. Given the inequity between men and women in human capital, we know that societies do not distribute wealth evenly. Given West Africa’s income inequality, its wealth inequality can also be assumed. Wealth growth may reflect only growth for those already with substantial wealth, leading to little or not effects for the majority of the population in poverty. While the findings of the report make clear that countries must make investments in human capital, the methods of doing so in an equitable fashion are not discussed. Global wealth grew significantly between 1995 and 2014. Middle-income countries are catching up in large part because of rapid growth in Asia, but inequality in overall wealth persists. 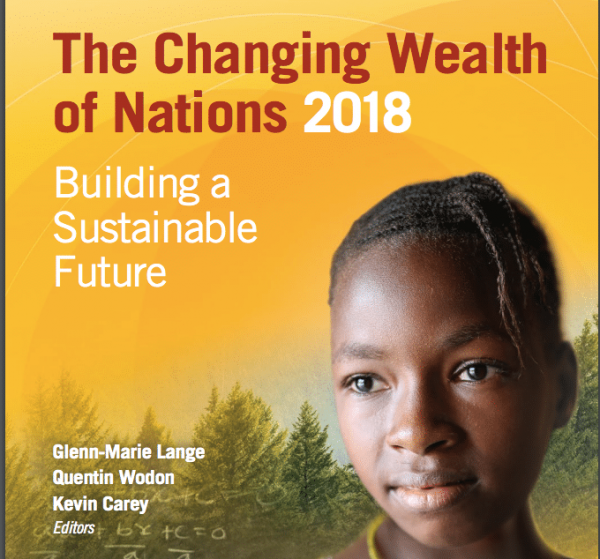 Because wealth underpins national income, measuring changes in wealth permits us to monitor the sustainability of development, an urgent concern today for all countries. Although total wealth increased almost everywhere, per capita wealth did not. Several low-income countries experienced a decline in per capita wealth because population growth outpaced investment, especially in Sub-Saharan Africa. As per capita wealth declines, the ability of countries to maintain per capita income will decline. Human capital, measured as the value of earnings over a person’s lifetime, is the most important component of wealth globally. Human capital wealth on a per capita basis is typically increasing in low- and middle-income countries. In some upper-middle- and high-income countries, aging and stagnant wages are reducing the share of human capital in total capital. Women account for less than 40 percent of human capital wealth because of lower earnings, lower labor force participation, and fewer average hours of work. Achieving higher gender parity in earnings could generate an 18 percent increase in human capital wealth. A country’s level of economic development is strongly related to the composition of its national wealth. Natural capital is the largest component of wealth in low-income countries (47 percent in 2014) and accounts for more than one-quarter of wealth in lower-middle-income countries. Getting rich is not about liquidating natural capital to build other assets—natural capital per person in high-income Organisation for Economic Co-operation and Development (OECD) countries was three times that in low-income countries in 2014, even though the share of natural capital in high-income OECD countries was only 3 percent. Growth is in part about more efficient use of natural capital and investing the earnings from natural capital sources, such as minerals, into infrastructure and education. This investment then results in growth of total wealth. Renewable resources—agricultural land and forests and protected areas—can produce benefits in perpetuity if managed sustainably. In low- and middle-income countries, the monetary value of renewable assets more than doubled, keeping up with population growth on average, which is good news, with greater gains in value of agricultural land than forests. In contrast with renewable resources, nonrenewable natural capital—such as fossil fuels and minerals—offer a one-time chance to finance development by investing resource rents. Nearly two-thirds of countries that have remained low income since 1995 are classified as resource-rich, or fragile and conflict states, or both. This shows that resources alone cannot guarantee development: strong institutions and good governance are needed to ensure that rents are invested and not used entirely for consumption. In conclusion, wealth should be used as an indicator of sustainability to complement GDP, which measures only current income. National income and well-being are underpinned by a country’s assets or wealth-measured comprehensively to include produced capital, natural capital, human capital, and net foreign assets. Sustained long-term economic growth requires investment and management of this broad portfolio of assets. Although a macroeconomic indicator such as GDP provides an important measure of economic progress, it measures only income and production and does not reflect changes in the underlying asset base. Used alone, GDP may provide misleading signals about the health of an economy. It does not reflect depreciation and depletion of assets, whether investment and accumulation of wealth are keeping pace with population growth, or whether the mix of assets is consistent with a country’s development goals. Nobel Laureate Joseph Stiglitz observed that a business is always evaluated by both its income statement and its balance sheet (assets and liabilities, or wealth). Similarly, a prospective homeowner can obtain a mortgage only by demonstrating both his or her income and net assets—income in any given year can always be made to look good by selling off assets, but liquidating assets undermines the ability to generate income in the future; the true picture of economic health requires looking at both income and wealth. The economic performance of countries, however, is only evaluated based on national income; wealth has typically been ignored. Indeed, one of the primary motivations for the early natural capital accounting efforts in the mid-1980s was concern that rapid GDP growth in resource-rich countries was achieved through liquidation of natural capital—a temporary boost to consumption that created no basis for sustained advances in wealth and human well-being (for example, Repetto et al. 1989). Monitoring wealth, including natural capital, was part of the solution to the challenge of long-term sustainability. The goal of this book is to broaden the measures economists, policy makers, the private sector, and civil society use to assess economic progress. Without a forward-looking indicator, it is difficult to conclude that we can accurately measure economic progress. Wealth, by its nature, concerns the future—the flow of income that each asset can generate over its lifetime. Measuring changes in wealth permits us to monitor the sustainability of development, an urgent concern today for all countries, and a critical, yet-to-be-defined indicator for the Sustainable Development Goals (see box ES.1). GDP indicates whether a country’s income is growing; wealth indicates the prospects for maintaining that income and its growth over the long term. They are complementary indicators. Economic performance is best evaluated by monitoring the growth of both GDP and wealth. This book covers a wide range of topics related to produced, natural, and human capital, as well as total wealth as an indicator of sustainability. This is an intentional strategy for building bridges across disciplines by demonstrating how the comprehensive wealth approach provides a useful, indeed essential, lens for viewing a broad set of development concerns—the sustainability of development. Global wealth increased 66 percent from 1995 to 2014 (from $690 trillion to $1,143 trillion, in constant 2014 U.S. dollars at market prices), marked by a sharp rise in the share held by middle-income countries from 19 percent to 28 percent over the period, while the share of high-income OECD countries declined from 75 percent to 65 percent (see figure ES.1). This change largely reflects the phenomenal rise of Asia, which has gone from mostly low- to middle-income status (except for Nepal) in one generation. The share of global wealth held by low-income countries, mainly in Sub- Saharan Africa, barely moved from less than 1 percent throughout the period 1995–2014, even as those countries’ share of world population grew from 6 percent to 8 percent. However, this result masks divergent trends in this group. Although wealth in many countries increased substantially, these gains were offset by slower progress and in some cases losses in wealth in a few large low-income countries in this group, such as the Democratic Republic of Congo, Madagascar, and Tanzania. Per capita wealth grew fastest in middle-income countries and in some low-income countries, contributing to convergence in levels of wealth. However, convergence is a very slow process; in addition, per capita wealth changed very little or fell in some countries (see map ES.1). Particularly hard hit were some of the low-income countries in Sub-Saharan Africa, several carbon-rich countries in the Middle East, and a few OECD countries affected after 2009 by the financial crisis. Although the growth of wealth from 1995 to 2014 in many Sub-Saharan African countries matched that of other regions, the growth was not sufficient to keep up with relatively high population growth in some of them. Countries with similar or even less investment growth over the period still increased per capita wealth because of lower population growth rates (see figure ES.2). The “demographic dividend” of a rapidly growing, younger population can only be realized if investment is sufficient to provide each potential new worker with the same (or more) human, natural, and produced capital. High population growth rates make meeting this goal more challenging. This section considers trends in ANS for Sub-Saharan Africa as a whole. Figure 3.2 illustrates the trend in ANS for the region over the past 20 years. In most years, ANS was negative, suggesting disinvestment. Gross national saving is estimated at slightly less than 20 percent of GNI in most years. About half of gross national saving is used for the consumption of fixed assets (depreciation), with a similar negative contribution (with some variation over the years) resulting from natural resource depletion. The losses from pollution are smaller, as is the positive contribution of spending for education. Clearly, natural resource depletion is one of the key drivers of negative ANS in the region. How does Sub-Saharan Africa compare to other regions? Not favorably. For example, East Asia and Pacific, as well as South Asia, have achieved much higher levels of gross saving, at more than a third of GNI in both regions. After accounting for depreciation, natural resource depletion, pollution, and investments in education, both regions have positive ANS of about one-fifth of GNI. The fact that natural resource depletion is much lower in these regions helps in generating high positive ANS. In Latin America, ANS is smaller, but still substantial at about one-tenth of GNI over the years. Within Sub-Saharan Africa, not all countries fare equally. Countries can be grouped according to whether they are resource rich, and according to whether resource-rich countries are fragile or affected by conflict. This classification may change with changes in the fragile or conflict status. For example, Côte d’Ivoire is no longer considered to be a fragile state, but it was affected by civil conflict for many years over the period in review. Mali is now considered fragile, but was not affected by conflict for quite a few years. One of the issues leading to low ANS faced by many countries, but especially resource-rich countries, is the pressure for public spending. Typically, greater resource revenue can create a deficit bias and reduce public savings. Examples of spending pressures are energy subsidies, unproductive public sector jobs, and higher public sector wages. Most energy subsidies are not only inefficient, but also regressive in countries where the less wealthy do not own cars or have access to electricity. Public sector employment is typically large in resource-rich countries in the region. Evidence shows that pay increases for government employees given during a boom are almost impossible to reverse. More generally, spending that leads to increases in consumption is hard to reverse because habits are formed and political resistance is high. By contrast, fluctuations in investment are easier to manage. The “curse” affecting resource-rich countries is not destiny for all such countries. For example, Botswana is often mentioned as an example of a resource-rich economy that has been highly successful in promoting long-term growth and poverty reduction. It has successfully recovered and invested rents, including for building human capital. Although there have been challenges in diversifying the economy and building a business-friendly environment to promote investment, Botswana’s sound macroeconomic policies have helped reduce short-term pressures to increase public spending inefficiently. The remainder of this chapter focuses on the changing wealth and ANS patterns of two nations: Ghana and Niger. 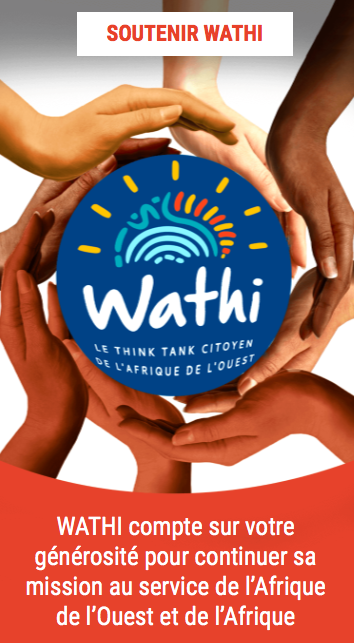 The objective is to assess whether data on the wealth of nations can be used together with ANS to provide a richer picture of a country’s investments and sustainability. Ghana and Niger were selected for brief case studies because they have fairly complete ANS and wealth data. They also present two very different contexts in level of economic development, natural resource base, constraints, and fiscal policy. Even before oil production began in 2011, and increasingly thereafter, Ghana found itself facing issues typical of middle- and low-income resource-rich countries. Between 2005 and 2014, Ghana saw its total wealth increase by 23.4 percent (or 2.4 percent annually). However, estimates of ANS suggest stresses on sustainability even in the midst of strong GDP growth (GDP tripled in real terms from 1995 to 2014). ANS in Ghana was barely positive over the 25-year period from 1990 to 2014. But ANS turned negative in 2007, the year preceding the elections. Dissaving increased quite dramatically in 2008, the election year, and all through the oil boom. By the end of the oil price boom in 2014, Ghana was under severe fiscal constraints and requested a bailout from the IMF. National saving had failed to offset consumption of fixed capital and resource depletion (related, in part, to land productivity) over the past decade. As shown, ANS was already rather low in per capita terms between 1995 and 2005, but it shrank thereafter, turning to negative $189 in 2014. This is illustrated in the decline of ANS as a percentage of GNI from 5 percent in 2005 to negative 12 percent in 2014. Saving effort, measured in net terms, declined; when considering population growth, the decline is even more severe. The existing capital stock thus has to be shared with a new population cohort, a form of wealth dilution. This effect is captured in the measure of “population dilution/capita” in the table. Subtracting this dilution term from ANS per capita yields adjusted net saving with population adjustment (ANS-PA) per capita. This is an indicator of potential future well-being. In Ghana, ANS-PA per capita has been consistently negative. The combined effects of insufficient saving (as measured by ANS) and a growing population lead to negative wealth creation per person using those measures. The data suggest that the negative ANS is mostly due to consumption of fixed capital without corresponding investments (before the discovery of oil, resource depletion, mostly gold, was quite low). Notwithstanding new oil revenues and a massive increase in debt, capital expenditure as a percentage of GDP declined from an average of 12 percent of GDP between 2004 and 2008 to 4.8 percent in 2011. At the same time, Ghana until very recently achieved high and sustained growth and impressive poverty reduction. The nation’s economic growth rate has consistently outperformed its African peers since the early 1990s, bringing the country into lower-middle-income status. Growth and job creation were accompanied by rapid urbanization and a gradual structural transformation of the economy from agriculture to services jobs, and to a lesser degree industry. The share of agriculture in value added fell from 36 percent in 1991 to 24 percent in 2012, while agricultural employment fell from 61 percent to 43 percent over the same period. The share of services expanded from 36 percent to 48 percent between 1991 and 2005, and then remained constant. Since 1991, the population of Ghana’s two major cities, Accra and Kumasi, has more than doubled, for an additional 2.4 million inhabitants. Secondary cities also expanded significantly. More people now live in urban areas than rural areas, and the urban population is expected to increase from slightly more than 50 percent of the country’s inhabitants to 70 percent by 2050, with benefits for development. In short, despite bouts of fiscal turmoil, in some cases related to the election cycle, Ghana has made remarkable progress in increasing living standards and reducing poverty and deprivation along many dimensions. Extreme poverty was halved in the past two decades and the first Millennium Development Goal was met. By 2012, just one in five Ghanaians (21 percent) lived in poverty, and one in 10 (10 percent) in extreme poverty (GSS 2014). Other social indicators—such as life expectancy, child mortality, and hunger—are now near those of countries with higher average levels of income. Educational attainment also has increased. These various shifts have had positive implications for wealth accumulation. As noted earlier, ANS excludes capital gains and new discoveries (oil was discovered in Ghana in 2007, with exploitation starting in 2011). ANS also may underestimate human capital formation, especially when economies benefit from positive structural changes that boost income levels. Table 3.2 shows that wealth per capita increased over the period. In large part, this increase stemmed from gains in human capital, which increased by almost 80 percent between 2005 and 2014. Natural and produced capital also increased. The gains in wealth per capita in Ghana have been smaller than one might have expected—given recent gains in poverty reduction, better educational attainment, and higher wages—but they have been positive. These developments are encouraging, but some concerns remain for the future. The prospect of oil revenues may have led to a classic bias toward consumption rather than investment. Ghana’s growth model may have become increasingly dependent on natural resources—and more so since 2011, with the start of commercial oil production. Because the prospect of a windfall led to higher spending for public sector wages and employment, public investment was squeezed, with negative ANS estimates being a source of caution. At the same time, the country has so far avoided the potentially more debilitating effects of a natural resource cycle, and past accumulation of human capital in high-growth years has provided a buffer of wealth accumulation and future prospects for development. Despite its large endowment of renewable resources compared with subsoil assets, Niger has relied heavily on oil and uranium assets to generate growth and savings over the years. The country has a long history of oil exploration dating back to the 1970s, but much like Ghana, Niger’s petroleum industry did not begin to develop substantially until 2011 with the opening of the Agadem oil field and the Soraz refinery near Zinder. With direct investment from China and France, new oil and uranium mining projects are being developed, transforming the country into a natural resources exporter. The new Azelik uranium mine, which is relatively small, began operating in 2011. An integrated oil project (including an oil field and a refinery) started in 2012. The new Imouraren uranium mine will begin production around 2019–20, when prices reach a level that would make the mine profitable (IMF 2015). Natural resources contributed 12.3 percent of total GDP in 2013, and are projected to double their contribution to GDP by 2020, while total government revenue from natural resources is expected to increase by about 2 percent of GDP. In addition to its recent gains in minerals and mining endowments, Niger’s share of renewables in total wealth (agricultural land, forest, and protected areas) is substantial as well and has grown over time. Both the area and value of protected areas have also gained significantly over the past two decades. These renewable assets are growing, but not as fast as nonrenewables. Despite the pitfalls of newly available resource rents, ANS trended above zero from 2010 to 2014 (table 3.3). Niger has managed to shift its ANS from negative to positive territory in several years since 2005. ANS as a percentage of gross national income increased from −24 percent in 1995 to more than 7 percent in 2014. The combined efforts of saving, as measured by ANS, and fiscal restraint have improved the outlook in recent years, even if total consumption expenditure (the difference between GDP and gross domestic saving) has increased at a sustained pace since 2011. A major issue in Niger is the high rate of population growth, currently 3.9 percent per year. As shown in table 3.3, population growth leads to negative wealth creation per capita because of population dilution. Fertility rates remain among the highest in the world, at 7.6 children per woman, in part because women marry very early (three-quarters of women marry as children before age 18 years), and the use of modern contraception is very low. This population growth rate has also limited gains in total wealth, despite improvements in other areas such as educational attainment. In Ghana fiscal volatility coexisted with a broader trend of wealth accumulation; in Niger, however, the fiscal story is a more dominant part of the overall picture. The ANS trend suggests that natural resource revenues have been largely invested or used to lower debt relative to the country’s income level and related wealth accounts in the past decade. The data suggest a strengthening trend in ANS, mostly as a result of the government’s commitment to fiscal consolidation. However, similar to Ghana, the fiscal situation has deteriorated since 2013 owing to rapidly increasing public investment spending, while domestic arrears have accumulated. Windfall resource revenues were directed at general public services and spending related to economic affairs (including agriculture, transport, and infrastructure), and social spending also increased. The central government’s fiscal deficit widened from 2.6 percent of GDP in 2013 to 9.1 percent of GDP in 2015, even though government revenue was rising. These widening deficits were accompanied by an accumulation of domestic arrears and rapid growth of domestic financing, notably through the issuance of bonds in the regional market. As a result, Niger’s public and publicly guaranteed debt stock has risen sharply in recent years, reaching an estimated 47 percent of GDP in 2016, up from 27.2 percent in 2013. The debt is 70 percent external and largely composed of concessional debt to multilateral creditors (54 percent). The good news is that this growth in debt reflects, in part, a scaling up of government borrowing to fund public investment in infrastructure (thereby expanding physical capital), including a US$1 billion investment facility from the Export-Import Bank of China and the signing of a Chinese master facility agreement in 2013. Like Ghana, the overall picture for Niger is mixed, but for different reasons, including the role played by population growth in undermining the ability of the country to increase wealth per capita.